SINGAPORE and SINT-NIKLAAS, Belgium, 8 December 2016. Newtec – a specialist in designing, developing and manufacturing equipment and technologies for satellite communications – today announced it has appointed a new sales Vice-President for the Asia-Pacific region. Sjoerd De Clerck will be responsible for leading the Asia-Pacific team and ensuring the company’s continued growth across the continents. The appointment follows Newtec’s partnership with leading Asian players and several important customer wins. All leading satellite operators, the majority of broadcasters, service providers and Satcom partners are among customers served by Newtec in the Asia-Pacific region. 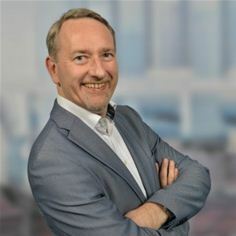 De Clerck’s previous appointments include positions at Barco N.V. – a global technology company that designs and develops virtualization solutions for a variety of professional markets – where he held various VP positions. He will be based at Newtec’s Singapore office and report to Newtec’s global Chief Commercial Officer (CCO) Thomas Van den Driessche. Asia-Pacific is one of Newtec’s most important regions due to the increasing demand for global GEO High Throughput Satellite (HTS) services, which is expected to reach 1.5 Tbps globally by 2024, according to a number of studies, with Asia named as the second largest market for satellite capacity. The rapidly growing mobility market, Asia’s continued digital transformation and expanding multiservice ecosystem will further add to Newtec’s growth in the region.